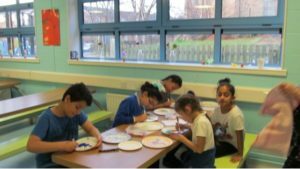 On Monday 19th November I was kindly invited to get involved with an art session at Pye Bank CE Primary School. 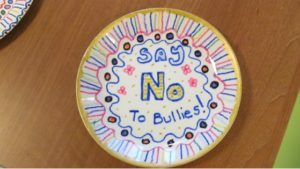 As part of the work during anti-bullying week each of the classes were asked to create a design that could be used as a plate decoration. 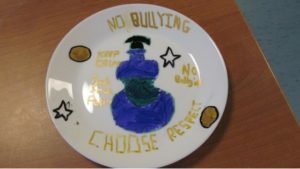 Two winners from each class were chosen to transfer their design onto a plate which will be used in a display to celebrate Anti-Bullying Week. 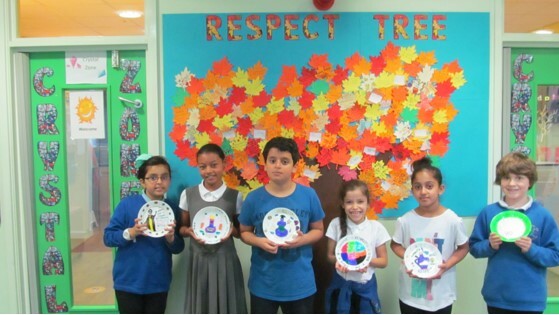 This year’s theme was Choose Respect and during the week the children used their English and IT skills across the curriculum to explore the different types of bullying and how they could show respect to each other. 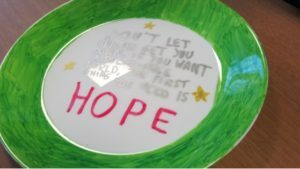 I spent time with some of the winners who were transferring their decorations onto the ceramic plates and even decorated my own plate along with Debbie Maskrey, Pastoral Leader. 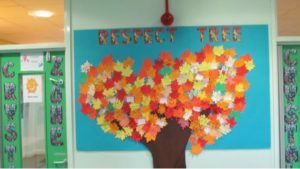 The school had created a Respect Tree and all the pupils had designed a leaf with their own anti bullying messages such as, ‘Choose Respect, Show Respect’, and ‘Don’t let bullies get you down’.